Discover our Special Saint Valentines selection! Gift ideas to share for vaping pleasure with your other half. Ideal for beginners of vape or for 2 to discover new sensations. You will also find in this selection our Duo Pack of Electronic Cigarettes, Exceed D19. Performant and Polyalent kits, which are convenient for all profiles. You can equally benefit with the Hearful Crush "Coup de Coeur", a selection of the best E liquids from the Le Petit Vapoteur range. Be sure to please your Family and Friends with the Le Petit Vapoteur Gift Card! 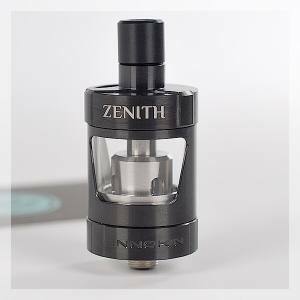 A kit full of autonomy and robustness, associated with the Aegis Mini and famous Zenith. An simple Electronic Cigarette box with ergonomics and polyvalent Clearomiser. Perfect for beginners ! The best of vape in one pack! Composed of the Istick Pico 25, Melo 4 D25, Xtar Charger and Samsung Batteries. A pack inclusive of the Luxe 220W, SKRR Clearomiser by Vaporesso, 2 x Samsung INR 25R Batteries and MC2 Charger. A high end "all-in-one" Electronic Cigarette simple like a Pod and sophisticated like a Mod by Lost Vape avec DNA. A kit for vaping all day long, simple and performant with the clearomiser for direct and indirect inhaling. A Sub ohm Clearomiser of 24 mm in diameter and has a capacity 4ml. Compatible with the V8-Baby and GT Core Coils. A 30 mm in diameter sub ohm tank with a capacity of 8 ml and new mesh stripped coils. An innovative box with an integrated battery of 4400 mAh, output power of 80 Watts. Light and performant. A BF high-end, compatible with 18650 and 20700, with the mono-coil dripper and BF Bottle of 12ml by Dotmod. A Kit specially designed for experts, associating the Armor Prime and the Dead Rabbit RTA. A Pack to initiate reconstructible atomisers with tools, consumables and Wasp Nano RDTA. A box out of the norm. Zinc Alloys with ABS and PC to place on value the interior of the box. The Electronic Mod Dotbox 200W is a wonder in Anodised Aluminium with a clean and curvy figure. A BF Electronic Mod with and output power of 100W, compatible with the 18650 and 20700 batteries and a 10ml BF Bottle. An atomiser 25 mm in diameter, for mono or double coils. Drip-tip in coloured resin and a reservoir in 4,5 ml. A massive tank of 25mm in diameter and good capacity, orientated flavours, mono-coil plate and 3D Airflow.